Yesterday I had one of those highly busy, stressful days that most moms get about once a week or maybe even more. You feel like a hamster on a spinning wheel watching things around the house crumble into chaos while you are scrambling to get things done that need to be done just to keep the ship from sinking. You household chores are a distant memory and the state of your home is giving you the blues. These days happen to moms all the time, especially moms dealing with sick children, aging parent issues or working three jobs to make ends meet. How can we make a comeback from these crazy times? Well, I cannot offer the perfect solution but I can offer a few bits of advice from my 27 plus years of experience. 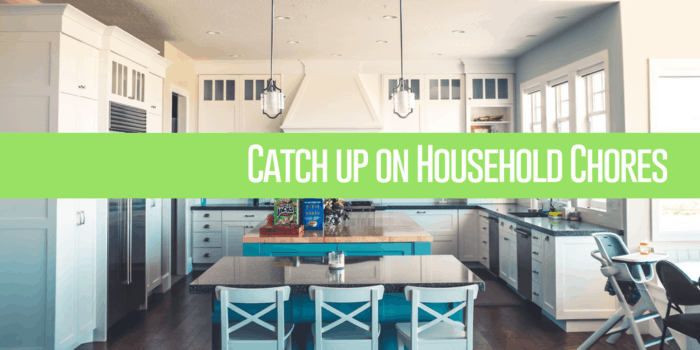 Here are simple steps to catch up on household chores without losing your mind or feeling completely overwhelmed. Wake and rise a half hour earlier than your family. This half hour will allow you time for a cup of coffee, a bit of movement (like yoga, walking or simple stretches), a bit of prayer or reading and best of all just a few moments of YOU time. 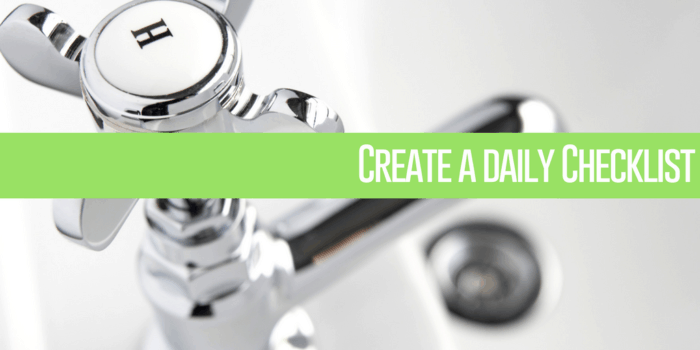 Create and maintain a solid daily household chore checklist of the bare minimum. Shiny Me: Shower, makeup and hair, jeans and a spot-free t-shirt. Shiny Bathroom: Clean sinks, toilet, and pick up and put away clothes from the floor. Shiny Kitchen: Loaded dishwasher, one cleared and clean counter, and clean stove. Remember this daily checklist needs to be centered on you and your family’s needs. If you have a baby at home or an elderly parent who needs your constantly this list can look and will most likely look different. The only concern you have in this life is to take care of your family and yourself. Do not worry your heart over what others think about the state of your home when you have been dealing with a series of crisis or health issues. Look at your basic must-do list and make sure you are checking off those items daily. Sometimes when life throws a few curve balls we just need to bite the bullet and ask for help. This could be just having a friend pick the children up from school one day so that you can have just 15 minutes or so to catch up with chores or make a few lunches for the week. You partner/spouse or even your children can help out picking up the house, laundry, and other simple chores. There is no shame in asking for help. We all need a boost now and then! I keep a note on the kitchen wall that says, ” This is a Home, not a Hotel”. I then list all the things that are our personal responsibility to help maintain our home as a family. Allowing just 3 minutes per day to write down your thoughts, dreams, wishes, and ideas can help you to keep your focus on what is important to you. I use a floral notebook journal and several colors of pens and markers to write on mine and when I am feeling overwhelmed I look inside the pages and find days when “Super Mom” was having a winning day. This helps me to remember that even the stormiest day will be extinguished by gorgeous calm sunny day eventually. 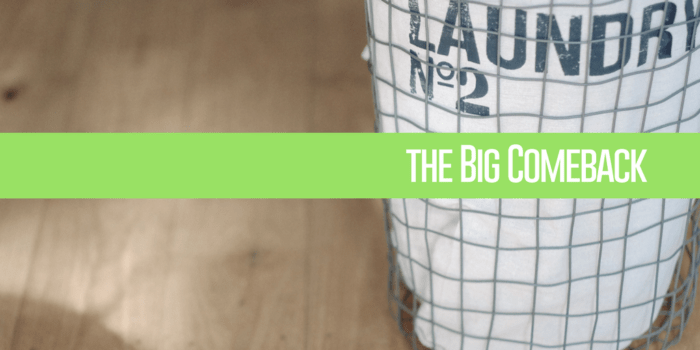 Now that we have enlisted the idea of asking for help and established our Basic Bare Minimum Checklist for our home, how can we make the Big Comeback when life gets so busy and crazy that you can’t seem to catch up? Do your Basic Bare Minimum List. Turn on some music and do a 100 clutter pick up. Take 15 minutes to sort, shred paper and pay bills. Take 15 minutes and clean the parts of the bathroom where bums and fingers touch. The shower, tub, toilet, and sinks. The rest can wait! Clean up the kitchen until it shines and is ready to cook a healthy light meal for your family that has little or no fuss. For example Soup, salad, frozen pizza or lasagna, pasta with jarred sauce. Keep it simple, to keep you sane! Now tomorrow you will be able to get back to your regular schedule of household chores without feeling overwhelmed! Remember you are a rocking Mom! Need a little boost in the Homemaking Department! Look no further. 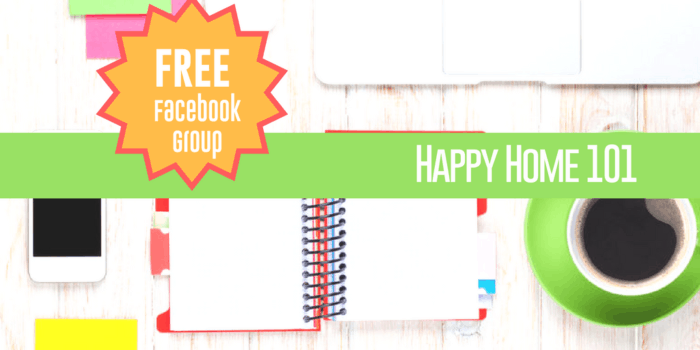 We have a totally FREE Facebook group just for you busy moms and gals! Come Join us! Happy Home 101! We cheer each other on with organizing, cleaning, cooking, and self-care. These are key factors in running a household. FIND HAPPY HOME 101 HERE! These are excellent types for harried Moms. It so hard to get it all together especially if your working. For whatever reason society puts the home as the Mom’s domain but wow it can buckle your knees sometimes. I am really happy to hear you give women permission to cut corners. It has much more weight when it comes from someone else. I bet your brightened some women’s days today. I definitely need help with this I am way behind with the laundry currently !! Daily Household chores are tough enough. this catch up plan has saved me more times than I can count! Congrats Pam! Your post is featured. These are great tips!! I can never seem to get my whole house clean anymore, not like I used to. I am seriously thinking about starting a bullet journal, maybe then I can start to be more organized! !